Basting Tools - Engineering Sciences & Technology Inc.
Basting is a cooking technique that involves cooking meat with either its own juices or some type of preparation such as a sauce or marinade. 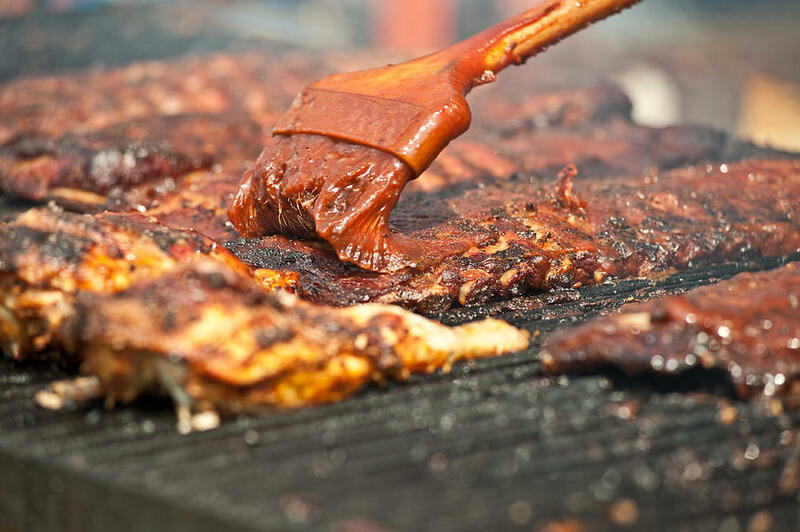 The meat is left to cook, then periodically coated with the juice. Prominently used in grilling, rotisserie, roasting, and other meat preparations where the meat is over heat for extended periods of time, basting is used to keep meat moist during the cooking process and also to apply or enhance flavor. 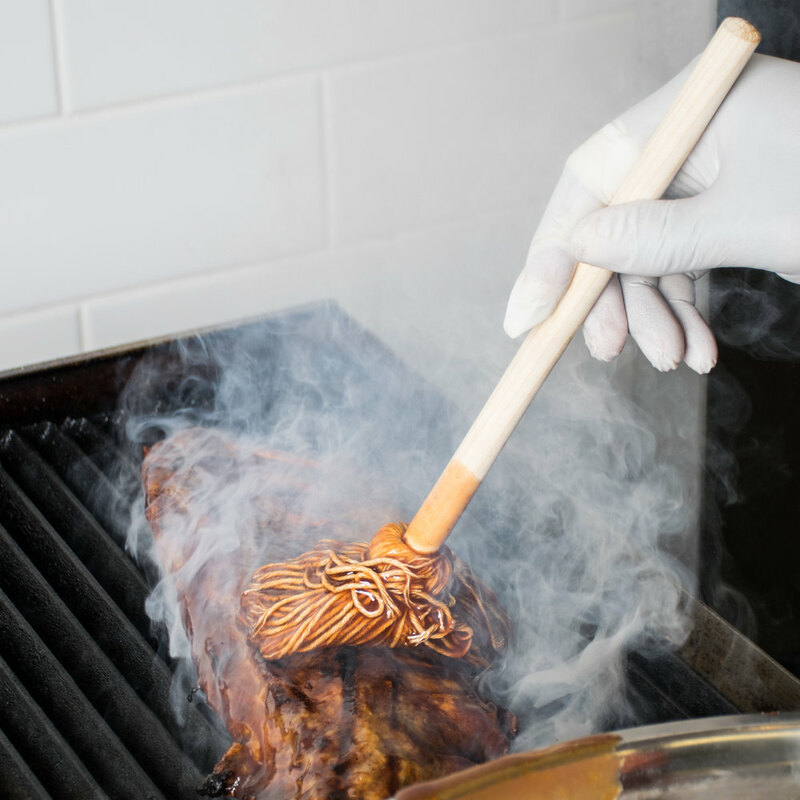 Improperly administered basting, however, may actually lead to the very problem it is designed to prevent: the undesired loss of moisture (drying out) of the meat. If not compensated by countermeasures, the opening of the oven door and the resulting loss of temperature and moisture content of the air circulating inside can lead to increased evaporation from the meat surfaces. 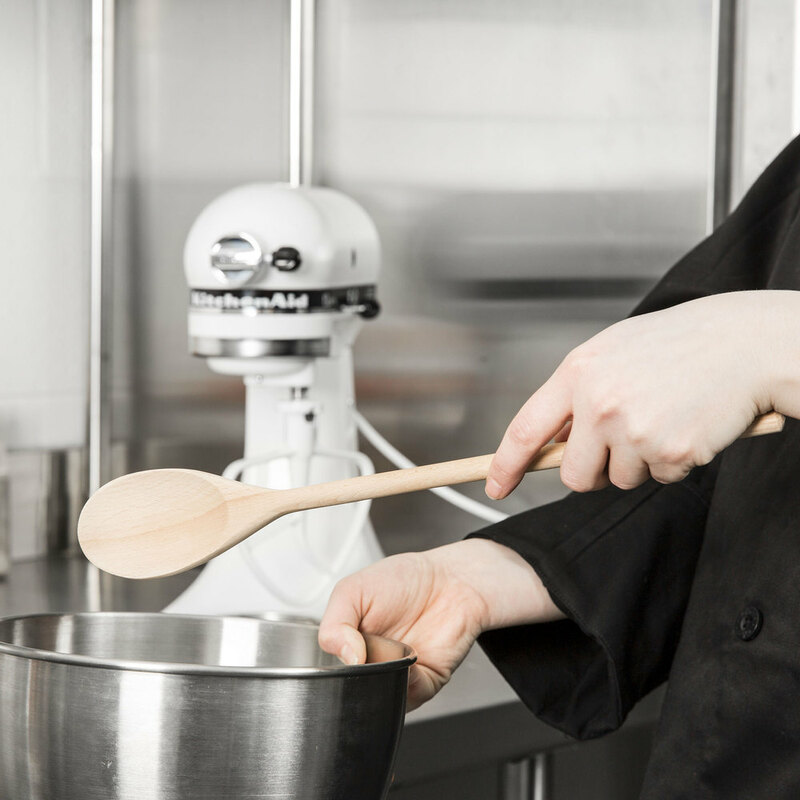 When it comes to wooden spoons, chefs and home cooks alike can get pretty serious. Only true wood will do, and the best are hard, lightweight, durable woods like beech, maple, or the new eco-friendly favorite of many manufacturers, bamboo. Wood is naturally a little giving, which allows you to more easily scrape and stir contents on the bottom of a pot or pan, pressing on the spoon to give better contact. 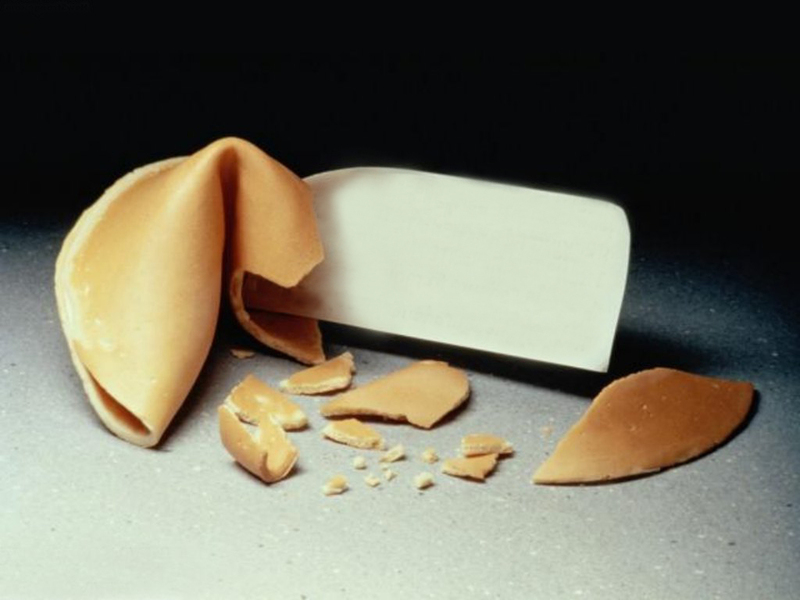 It's also softer on the hands, and with time, will slowly conform to the shape of your hand and pot. Beautiful, all-purpose beechwood spoons effectively stir and serve food while looking great in the kitchen. These lightweight kitchen staples have broad bowls that cover a large surface area and easily reach into corners. Won't scratch or damage nonstick cookware either. It's comfort handle is long enough for stirring stockpots filled with soups, broths, sauces and stews. Hand Wash Only: To preserve quality, this item should only be hand-washed and sanitized. When it comes to wooden spoons, chefs and home cooks alike can get pretty serious. Only true wood will do, and the best are hard, lightweight, durable woods like beech, maple, or the new Eco-friendly favorite of many manufacturers, bamboo. Wood is naturally a little giving, which allows you to more easily scrape and stir contents on the bottom of a pot or pan, pressing on the spoon to give better contact. It's also softer on the hands, and with time, will slowly conform to the shape of your hand and pot. Beautiful, all-purpose beechwood spoons effectively stir and serve food while looking great in the kitchen. These lightweight kitchen staples have broad bowls that cover a large surface area and easily reach into corners. Won't scratch or damage nonstick cookware either. It's comfort handle is long enough for stirring stockpots filled with soups, broths, sauces and stews. To preserve quality, this item should only be hand-washed and sanitized. 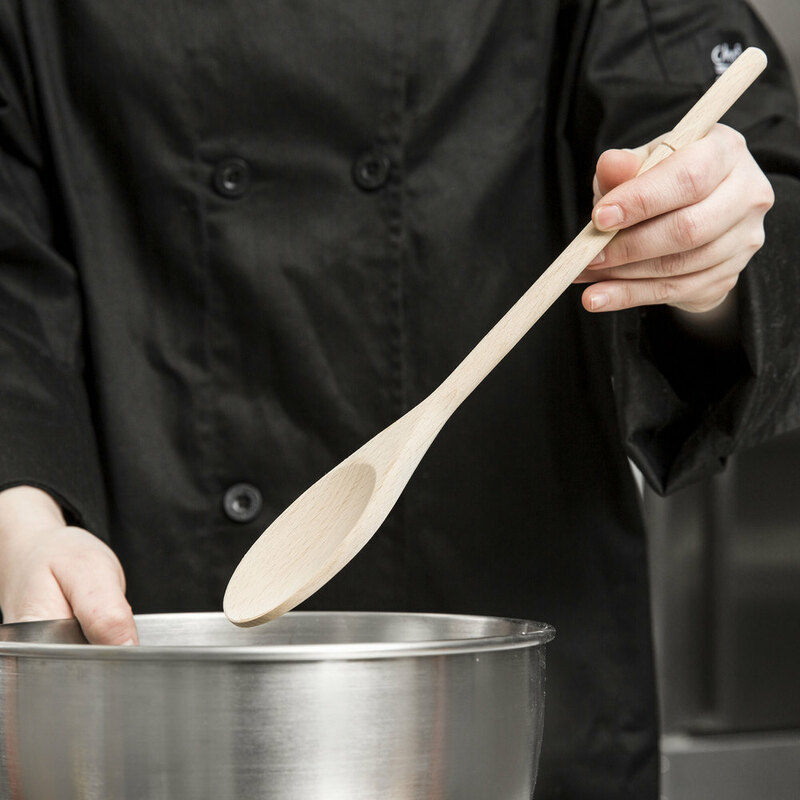 When it comes to wooden spoons, chefs and home cooks alike can get pretty serious. Only true wood will do, and the best are hard, lightweight, durable woods like beech, maple, or the new Eco-friendly favorite of many manufacturers, bamboo. Wood is naturally a little giving, which allows you to more easily scrape and stir contents on the bottom of a pot or pan, pressing on the spoon to give better contact. It's also softer on the hands, and with time, will slowly conform to the shape of your hand and pot. Beautiful, all-purpose beechwood spoons effectively stir and serve food while looking great in the kitchen. These lightweight kitchen staples have broad bowls that cover a large surface area and easily reach into corners. Won't scratch or damage nonstick cookware either. 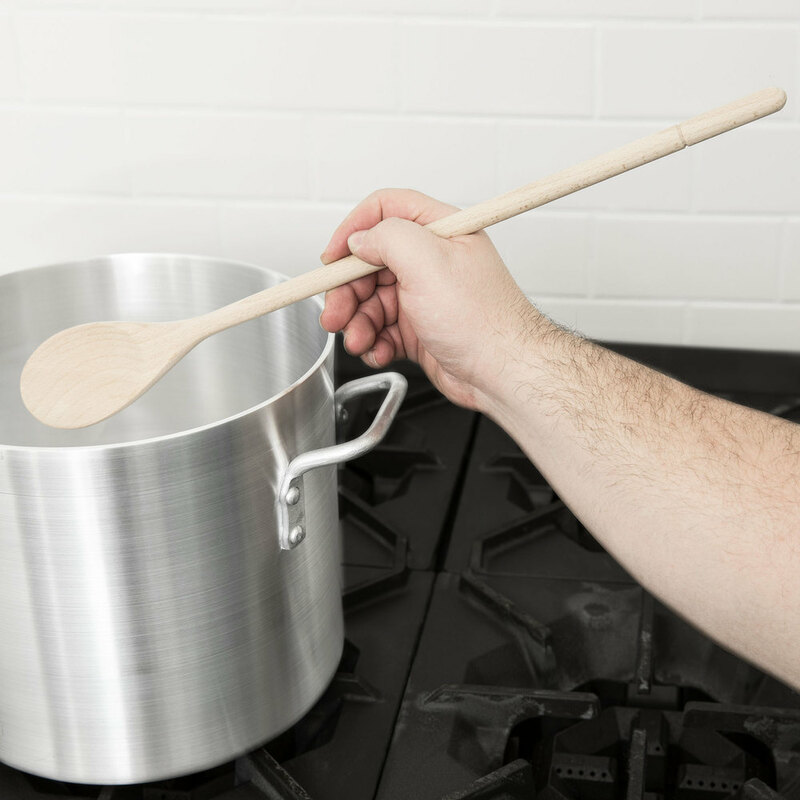 It's comfort handle is long enough for stirring stockpots filled with soups, broths, sauces and stews.This wooden spoon is great for mixing even the thickest of dough's and batters. Made of lightweight, yet durable beechwood, it's also safe for use with nonstick surfaces. Hand Wash Only: To preserve quality, this item should only be hand-washed and sanitized. 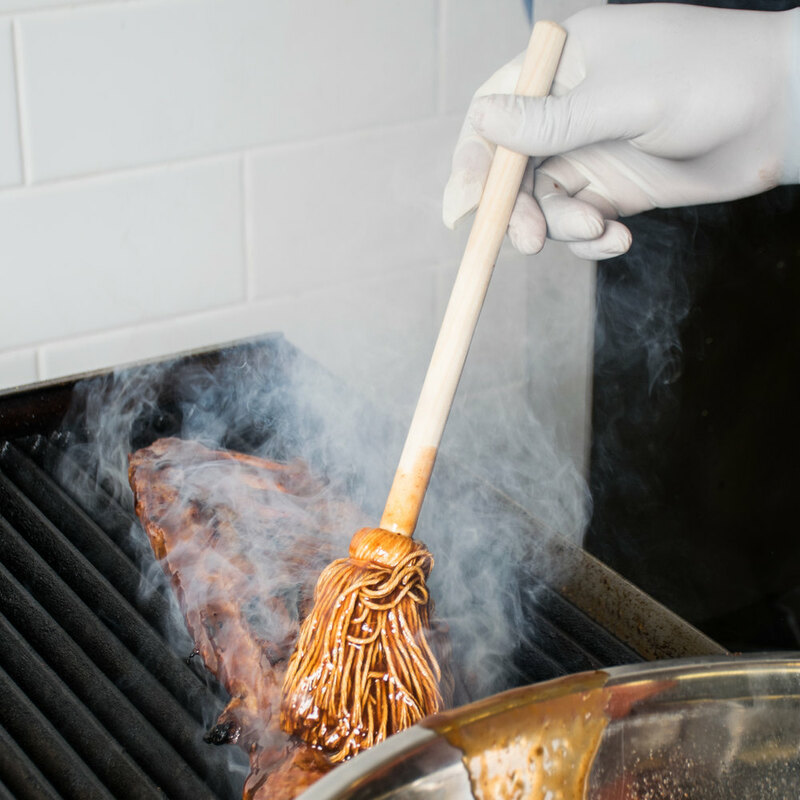 This wooden-handled, 4" boar bristle pastry / basting brush can be used for spreading butter or egg wash over fresh pastries or for coating meats with marinades and sauces! 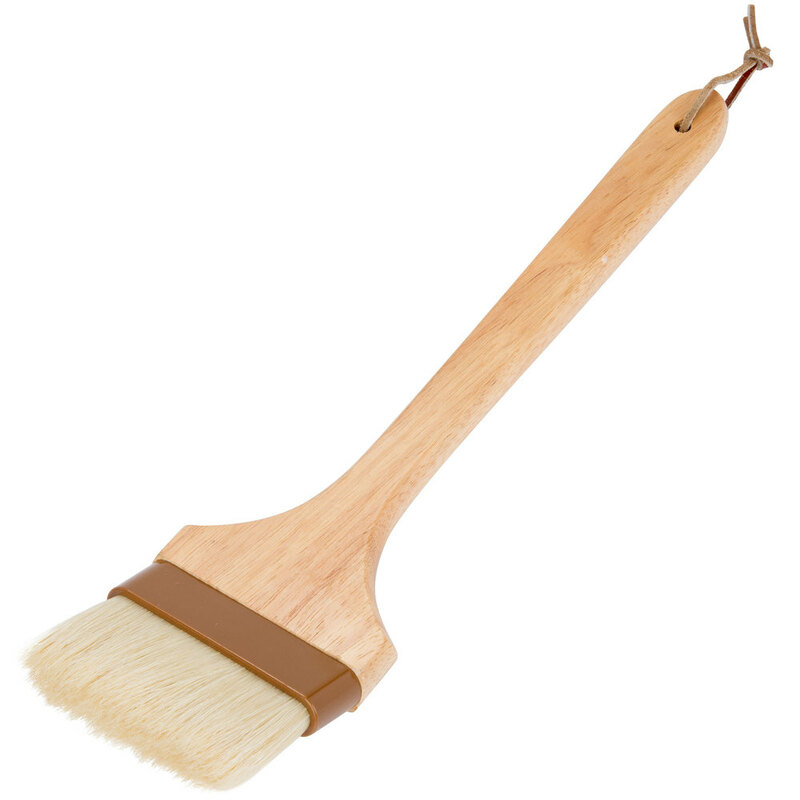 The larger brush width is perfect for your bigger cooking projects and is made with soft white boar bristles connected to the natural wood handle with a brown plastic ferrule band. The brush features a unique angled head and 12" handle with a 4" brush width. For added safety, the special long reach handle angle is designed to keep hands away from hot grills. The oval hole at the end of the handle is fitted with a convenient loop tie so you can hang this brush for easy storage. Overall Dimensions: Handle Length: 12" Brush Width: 4" Utensils with wooden handles are not dishwasher safe; exposure to hot water can cause the wood to warp or splinter. These items should be hand washed and dried thoroughly. For optimal results, use a wood conditioner periodically to prolong the life of the wood. This wooden-handled, 2" boar bristle pastry / basting brush can be used for spreading butter or egg wash over fresh pastries or for coating meats with marinades and sauces! 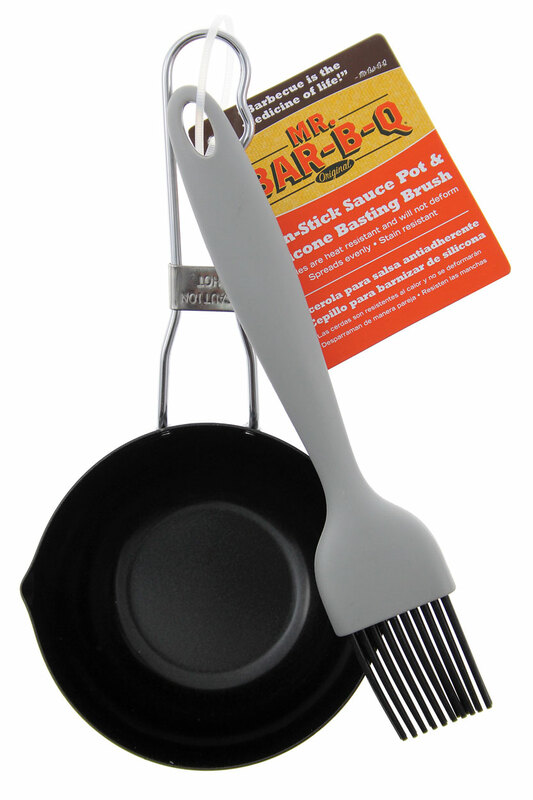 The larger brush width is perfect for your bigger cooking projects and is made with soft white boar bristles connected to the natural wood handle with a brown plastic ferrule band. The brush features a unique angled head and 12" handle with a 2" brush width. For added safety, the special long reach handle angle is designed to keep hands away from hot grills. The oval hole at the end of the handle is fitted with a convenient loop tie so you can hang this brush for easy storage. Overall Dimensions: Handle Length: 12" Brush Width: 4" Utensils with wooden handles are not dishwasher safe; exposure to hot water can cause the wood to warp or splinter. These items should be hand washed and dried thoroughly. For optimal results, use a wood conditioner periodically to prolong the life of the wood.